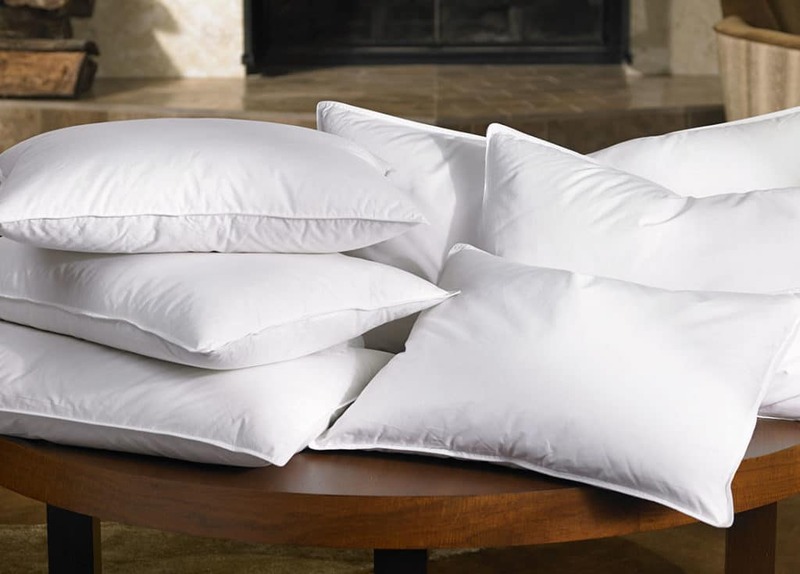 Did you know that it is best to replace your pillows every two years for hygienic reasons? If it is time to replace your pillows, don’t throw the old ones away! There are plenty of things you can do to repurpose your old pillows. 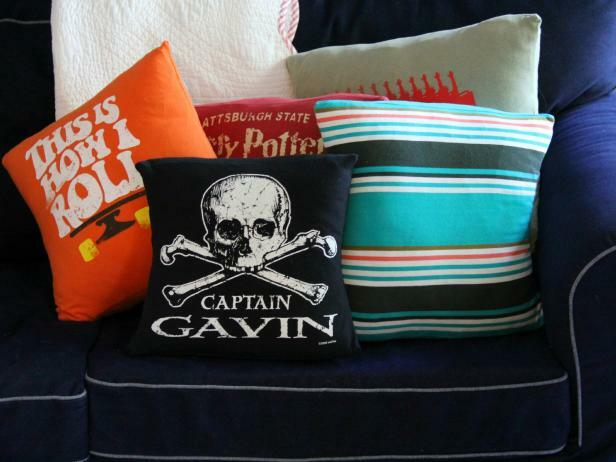 Here are a few ideas for recycling old pillows. Accessible. A good DIY project should be easy to complete and require items you are likely to have around your home. Fun. The best DIY projects are the ones that are fun to work on. We avoided projects that could be tedious or frustrating. Original. We looked for original DIY projects so you have plenty of options to choose from to repurpose old pillows. Useful. We gave higher ratings to the projects that help you turn old pillows into useful items. Creative. We chose projects that give you the possibility to explore your creative side and customize the final result. Here are a few ideas to explore if you just replaced your pillows and aren’t sure what to do with the old ones. This is a fun DIY project that is accessible if you know how to use a sewing machine. You will need at least four old pillows and some flannel material. Measure the pillows you are using to adjust the size of the pieces of flannel and figure out where to sew them to create pockets. Make sure you leave at least half an inch for the seams. Turning old pillows into a cushion bed is great if you often go camping or want to create a comfortable reading nook. You can fold this cushion bed to sit on the floor while having something to support your back. This project is a good option if you have some experience with measuring and cutting fabric and know how to use a sewing machine. This is a very accessible DIY project. You can turn an old pillow into a decorative cushion for your couch. The fun thing about this project is that you can pick a fabric you like and create a unique cushion. You can make a simple cushion by picking a fabric you like or take the time to decorate the cushion. You can sew buttons and other items to create a fun design, or use some fabric markers. The easiest way to create a cushion is to use your old pillow as a template. Cut fabric around it and leave one inch for the seams. Cut two pieces of fabric with the same measurements, sew three sides together, and insert the old pillow before closing it. If you have more experience with sewing, you can create a cushion cover from scratch and use the stuffing from an old pillow instead of simply sewing fabric around a pillow. You can create any shape you like and will get a firm cushion if you decide to pack the stuffing from your old pillow. You can turn an old T-shirt or sweatshirt into a cushion if you like the design or if you have an old item of clothing that has a lot of sentimental value. Start by cutting two pieces from your old T-shirt or sweatshirt to create the back of the cushion cover. These two pieces will overlap to form an envelope where you can insert an old pillow. You can cut the back of the shirt and a second piece from the bottom of the front of the shirt for the two back pieces of the cushion. Cut a larger piece for the front of the cushion cover from the front of the shirt. If you are using a graphic T-shirt, make sure the design will end up in the center of the cushion. Use pins to secure the three pieces of fabric together so that the fabric is turned inside out. Use a zigzag stitch to sew them together and create an envelope design. You can then flip the cushion cover and insert an old pillow. Recycling the stuffing from your old pillows is easy if you have some old stuffed toys. You can unpick a small portion of a seam from a stuffed toy and insert from stuffing carefully. If you can’t unpick a seam, make a small opening in an area you can camouflage. Add some stuffing, make sure it is distributed to the areas that need it, and use a ladder stitch to close the opening you need. Don’t worry if the repairs leave visible stitches. These stitches can give more personality to an old stuffed toy. You might be tempted to add as much stuffing as possible to your old stuffed toys. However, too much stuffing can weaken fabric and seams and cause more damages. If you enjoy working on DIY projects, you can also use stuffing from your old pillows to make a Halloween costume that needs bulk in some areas or find some online tutorials for making stuffed animals from scratch. 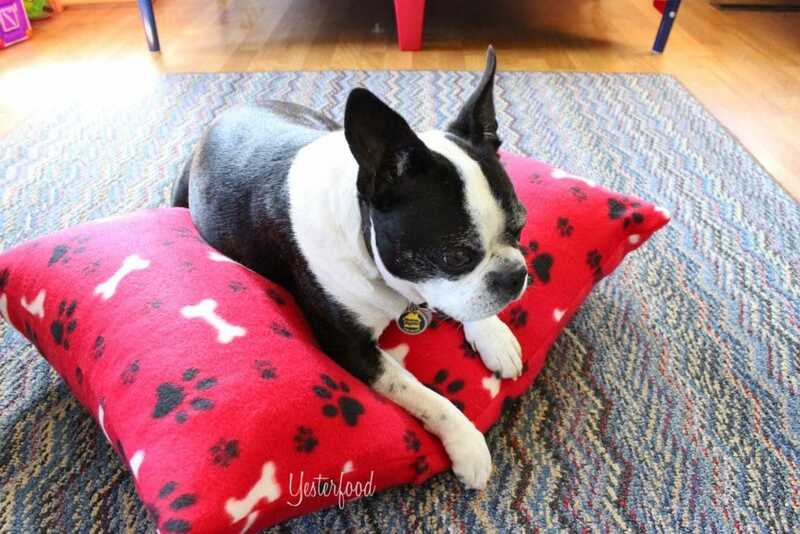 Transforming an old pillow into a fleece pet bed is a fun and easy project. Measure an old pillow and cut two pieces of fleece. You can re-use an old fleece blanket for this project. Leave an additional five inches on each side. Cut a fringe that is four-inches deep into the two pieces of fleece. Use the fringes to join the two pieces of fleece with knots. Close three sides, insert the old pillow and finish joining the two pieces of fleece. If you think your pet will be tempted to play with the knots, you can turn the bed cover inside out to keep the knots inside and make the pet bed last longer. The great thing about this project is that you can replace the pillow as needed and wash the fleece cover. You can turn an old pillow into a door stopper that insulates your home from drafts or improve the insulation of a window. Start by measuring the doorway or window sill you want to insulate. Cut two rectangular pieces of fabric to match the measurements of the doorway or window sill. Add an inch for the seams. You can also cut a single larger piece of fabric to create a door stopper that will resemble a throw pillow. Choose a thick fabric to improve insulation and make your door stopper last longer. You can join the two pieces of fabric you cut with a sewing machine to create a cushion cover for your door stopper. Either stuff the old pillow inside of the cover or remove the stuffing from the old pillow to create a compact door stopper. 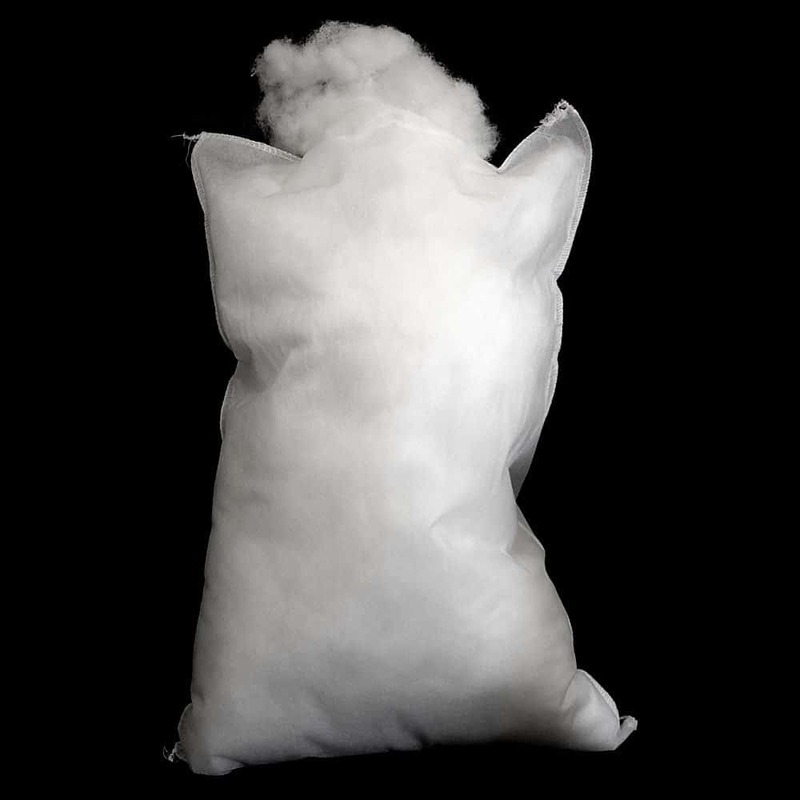 You can recycle an old pillow by opening it and using the stuffing as fake snow. You can sprinkle it on your Christmas tree or glue it on homemade ornaments. If you have a hamster, a bird, or another small pet, pillow stuffing will make great nesting material. If you end up using the stuffing of your old pillows to make fake snow or to make your pet more comfortable, keep the pillow cover and turn it into rags you can use for cleaning. If you are moving and need to pack some fragile items or need to ship something, you can turn your old pillows into packing material. You can use an entire pillow to add cushioning at the bottom of a box or cut it open and use the stuffing to replace packing peanuts. If you are moving, you can use pillows to protect furniture corners and to prevent two pieces of furniture from touching each other during the move. You can reuse old pillows without modifying them. Keep your old pillows in your car if you often go on long road trips. You can also use old pillows as cushioning for a chair or to make your children more comfortable if they often sit on the floor. If you often do yard work or have a few projects you need to complete around the house, you can turn your old pillows into knee pads to be more comfortable. You can also use your old pillows to elevate your feet and improve your circulation when you sleep. There are a few things to consider before you get started on a DIY project to recycle your old pillows. Working on a DIY project should be fun. Sewing can be frustrating and overwhelming if you choose a project that isn’t adapted to your skills. Before you get started, make a list of all the items you will need. The quality of the thread and fabric you use are important for a lot of these projects. The type of needle you use is also something to consider if you want to hand-sew a cushion. A sewing machine will make most of these DIY projects a lot easier, but you need to be comfortable with using it. Practice with some smaller projects to make sure you feel comfortable using your machine on a cushion or another creation. Get started with simple projects if you are new to sewing. This will give you a chance to experiment with your sewing machine or to learn to do stitches by hand. You should also ask yourself how much time you can afford to spend on a DIY project. Cutting fabric and sewing it by hand is time-consuming and getting started on a project you won’t have time to complete can be frustrating. There are other uses for old pillows if you don’t have the time to work on DIY projects. You can simply use your old pillows to pack fragile items or cut them open and use the stuffing as fake snow and turn the covers into rags. If a pillow isn’t too damaged, throw an old pillowcase on it and turn it into a pet bed or a floor cushion. You can also remove the stuffing of an old pillow that isn’t stained or damaged, make a small opening in another pillow, and add more stuffing. You should be able to easily close the small opening with a few stitches. Even though charities and thrift stores don’t accept old pillows for hygienic reasons, you can sometimes donate old pillows to animal shelters. The pillows will be turned into disposable bedding for the animals. Pillows aren’t made from materials that can be recycled. If a pillow is stained or too damaged to be reused, your best option is to throw it away. A lot of these projects require you to reuse the stuffing from an old pillow, but it might be best to throw an old pillow away if the stuffing has been stained. These are a few ideas worth considering if you are interested in recycling your old pillows. You might want to collect your old pillows and wait until you have enough to complete a few different DIY projects and have a fun weekend turning old pillows into useful items!